We are a Dallas, Texas based color and trend forecasting company, with office representation in New York, and Los Angeles. Color Portfolio provides customers with consistent, accurate color and trend information based on in depth research, data from current market places, and traveling around the world. Color Portfolio produces five color books, twice a year, and is present at major trade shows in the industry, providing color and trend information to major retailers and manufacturers. Color Portfolio’s products and service provide clients with accurate and useful information necessary to design their upcoming season. Color Portfolio can provide specific consulting services based on your color and trend needs. Carol Meek is owner of the color and trend forecasting company Color Portfolio, Inc. She is the creative force behind the company and brings with her over 20 years of experience in the fashion industry. Carol has an extensive background in retail, product development, and fashion direction in Menswear, Women’s, Children’s, and Home. She has worked in the American, European, Asian, and South American markets. 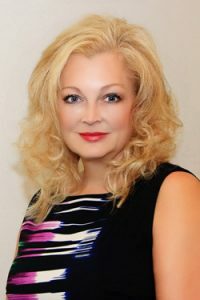 Carol brings her expertise and background to Color Portfolio creating one of the most successful color and trend companies in the United States. She is a featured speaker at important trade shows such as Premier Vision, Print Source, Texworld USA, and the LA Textile Show. Carol Meek is owner of the color and trend forecasting company Color Portfolio, Inc. She is the creative force behind the company and brings with her over 20 years of experience in the fashion industry. Carol has an extensive background in retail, product development, and fashion direction in Menswear, Women’s, Children´s and Home. She has worked in the American, European, Asian and South American markets. Carol brings her expertise and background to Color Portfolio creating one of the most successful color and trend companies in the United States. Carol understands the current market place, future trends, and the critical needs of today’s manufacturers and retailers. She is a featured speaker at important trade shows such as Texworld USA, Direction by Indigo and Print Source.